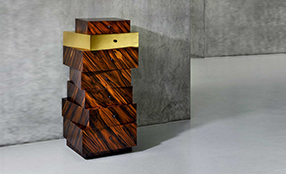 When we talk about designer furniture, the high-quality woodwork of Röthlisberger cabinetmakers is unrivalled. Their unique pieces are designed by the best designers and made using unparalleled traditional craft methods. 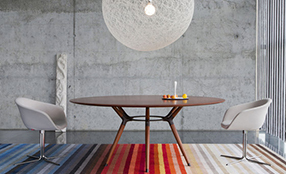 Röthlisberger is a workshop qualified to entrust the assembly of high-quality furniture. 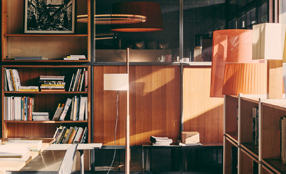 LinBrasil is exclusively dedicated to the work of Sergio Rodrigues and has in its portfolio 56 furniture pieces including the most iconic created by the master throughout his 60 years of work in furniture design. 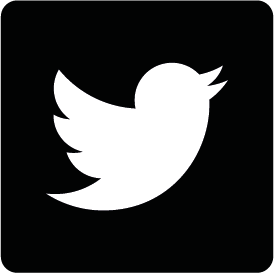 The company was created by the entrepreneur Gisèle Pereira Schwartsburd in 2001. Production is carried out in partnerships with selected industries. Much attention is paid to the quality of manufacturing, which follows the original patterns and models. 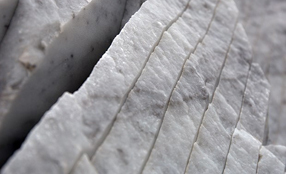 The experience of Vaselli at Rapolano Terme spans over 100 years and is rooted in the knowledge of hte travertino stone. Vaselli develops customised interior and exterior design solutions which respond to the different needs of architects, designers and customers. 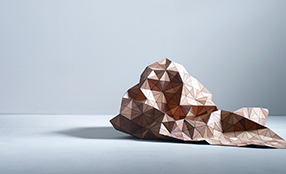 A thorough selection of materials (stone, marble, wood and metals) and an impeccable implementation have turned Vaselli into a reference point for international architects and sculptors who find all the support needed for their pieces in this brand. PP Møbler is a family-owned Danish joinery workshop, established in 1953, with a strong tradition built upon high-quality designer furniture. Hans J. Wegner is the lead designer in the firm. In this joinery workshop we can find other designers such as Thomas Alken, Søren Ulrik Petersen or Zaha Hadid, among others. Their driving force has always been a passion for high-quality woodwork and for upholding technique, creativity and handicraft as quality-assuring elements. 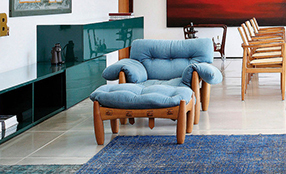 Moroso has been designing and manufacturing sofas, armchairs and decoration accesories since 1952. Always working with highly-qualified designers such as Ron Arad, Carlo Colombo, Enrico Franzolini, Marc Newson, Toshiyuki Kit and Patricia Urquiola. 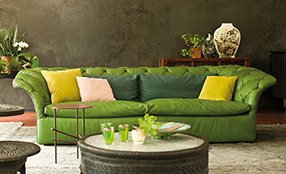 As a result of the close connection between quality and environmental degradation, Moroso has decided to use clean and non-pollutant energy technologies as well as natural and recyclable materials in its production process. Thut Möbel has a long tradition in the industry. 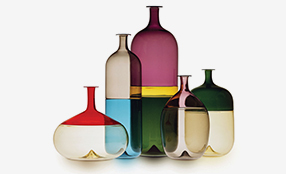 It was established in 1929 by Walter Thut and later reinterpreted by his son Kurt Thut in 1953. However, only in 1970 did Thut Möbel undergo a modernisation whereby it was renamed Thut AG, a company focusing on a more constructive and creative use of new materials and technologies. The ‘Thut furniture’ are practical and known for providing flexible and high-quality solutions, technical accuracy and outstanding attention to aesthetics. Each design attributes its originality to the selection and creation fo the material and to the simplicity of its forms. The pieces are created to be timeless in terms of quality, functionality, colour and aesthetics. Carl Hansen opened his furniture workshop in Odense (Denmark) in 1908 and quickly became well-known for his high-quality work. 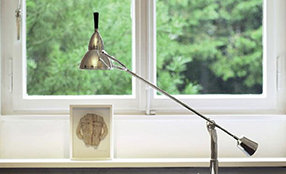 Carl Hansen produces part of Hans J. Wegner designs, who is considered to be one of the best designers worldwide. 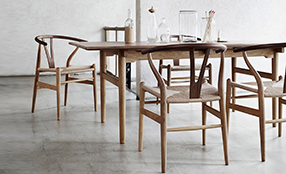 ‘The Wishbone Chair’ or the ‘Shell Chair’ are some of the pieces produced by Carl Hansen. Abimis defines a new type of kitchen: not only a simple decorative element, but also an authentic and veritable “instrument” for cooking. Thanks to Abimis, each operation is fluid, easy, logical. This way timing is optimized and everything moves in a normal way, where cooking becomes the central part. Abimis kitchens are worked in detail, with the handcrafted passion which characterises made in Italy designs. Every part has an specific function, so as to speed up the cooking process. Böwer was established in 2007. This design firm has been published in well-known magazines, such as Elle Decoration, Vivir Mejor or MD. 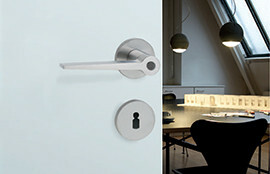 Its designs have received the ‘IF Product Design Award’ or the ‘Red Dot Design Award’, among others. 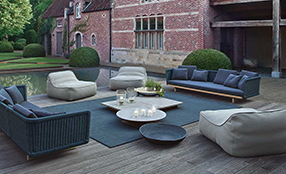 Its product range comprises wooden or linen geometrical carpets and different pieces of furniture out of solid wood based on contemporary and innovative designs. Zoom by Mobimex stands for a love of solid wood and dedicated processing of this honest, attractive material. It is a natural resource, valuable and sustainable, which never fails to stimulate our emotions. Solid wood is evidence of nature’s unique character: a fascinating record of the passage of time. Tree trunks up to a hundred years old are stored, dried and processed by skilled hands until equally unique items of furniture are created. This furniture is nature brought to a new pitch of perfection. But Zoom by Mobimex is more: a collection of furniture immune from today’s rapid consumption habits, upholding the finest aesthetic standards and free from superficial, fashionable trends. Design is an attitude to life. With its basic simplicity and logic, we intend our furniture to reflect the honesty and authenticity of the materials from which it is made. Venini is proud of its legacy, made up of drawings, pictures and works that gather the evidence of Venini’s history, which have lasted for more than ninety years. This is a heritage that motivates creative minds and fascinates customers. This unique heritage is exhibited in the most important museums and art foundations all over the world. Giorgetti has always stood out in the panorama of design furniture not only for tradition and manual skills that have not been lost in time, but also for the high quality and research in the choice of raw materials. Wood, fabric, leather, metal and marble are only some of the materials it prefers in the production of pieces, always in search of excellent quality but also those special finishes that give rise to unique products. Since its establishment, Davide Groppi has been a firm known for being driven by technology and innovation in lamps; for its thorough and detailed designs, its humanist approach when planning a project, its international attitude and its awareness regarding social corporative issues. Simpleness, lightness, emotion and invention are the four pilars of Davide Groppi designs. When we talk about furniture, Santa & Cole is the greatest exponent of the perfect balance. Internationally renowned Spanish designers and architects are the mastermind of the pieces they work on. Santa & Cole values the new ideas, new ways of thinking and new perspectives of designers. 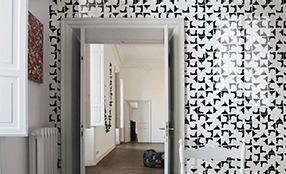 Ingo Maurer is the poet of light. 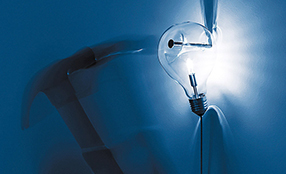 Ingo Maurer’s lamps and installations arouse strong emotions and fit perfectly in a modern designer environment. His creative work encompasses two recurrent themes: the light bulb and the paper, the latter being presented as a resistant and yet soft material. 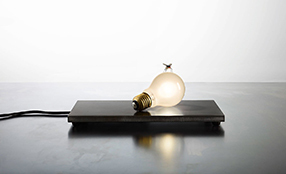 Some of Ingo Maurer’s works are considered to be classics of modern design. Tecnolumen presents some of the most outstanding works by Wilhelm Wagenfeld, Marianne Brandt, Hans Przyrembel, Mart Stam, Gyula Pap and some anonymous designers from the Bauhaus. Bauhaus designers based their ideas on the use and material characteristics as well as on the production method, using the Bauhaus design concept which was focused on practical work. The history of the Tecnoline company dates back to the 1980s, when, as a division of Tecnolumen, it successfully reintroduced the door handles originally designed by Wilhelm Wagenfeld and Walter Gropius. To this day, Tecnoline is licensed to market these products under the name of the original designers, i.e. it actually produces original articles. A Hanseatic company now its second generation of family management, Tecnoline attaches great importance to quality and reliability. Its solid brass fixtures are manufactured and finished exclusively in Germany, “the only location that can ensure the necessary degree of exclusiveness and sustainability; after all, producing fixtures requires considerable expertise and thoroughness of detail. Shortly after Arne Jacobsen won a competition in 1961for his design of the National Bank of Denmark he was contacted by the owner of Vola A/S, Verner Overgaard, who introduced his proposal for a new type of wall-mounted mixer tap. He imagined a design where all the mechanical parts of the mixer are hidden leaving only the handles and spout exposed. 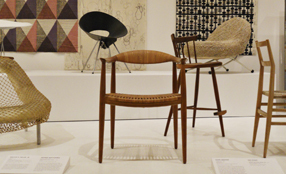 At the time this was a completely new concept, but Jacobsen realized that this idea combined with his functional approach to design could be developed. 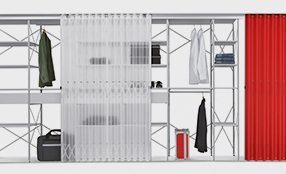 With that basic principle in mind, the simple and concise Vola design that we know today was conceived. Since Jacobsen’s death in 1971, Teit Weylandt, one of Jacobsen’s former assistants, and later on the design department of Aarhus Arkitekterne A/S along with the late Vola Director Carsten Overgaard, continued to introduce new products into the world of the famous Vola range. Thus establishing Vola as an international brand whilst keeping the original principles of excellent design and functionality. Ceramica Bardelli was originally established as a glazing line in the ’60s, standing out right away for the exceptional quality of its products. In the early ’80s the company began to conduct formal and aesthetic research applied to the art of ceramics, and soon became a key interpreter of trends in the widerranging sector of home furnishings and design. Right from the start, all the company’s products have been oriented towards architects, who still identify Bardelli with applied research in ceramics: both cultural (Ponti, Fornasetti, Chiarenza…) and technical (glaze quality, modularity, colour…). 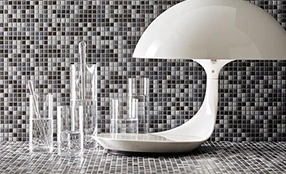 Appiani mosaics has actively promoted its products on the Italian and international markets since it was first founded in Treviso in 1873. Appiani has rediscovered the appeal of materials from the past like mosaics (mosaic art), offering colours, shapes and finishes to create surfaces using a variety of materials and blocks of multiple colours by combining shapes and dimensions of traditional ceramics. Gaggenau is the leading brand for domestic appliances and has taken a pioneering role in innovation and design “Made in Germany”. Its success is based on technological advance and a clear design language, paired with perfect function. The company, characterized by its over 330-year-old tradition, continually sets new standards in the private kitchen sector with its award-winning products, and its name is synonymous with exclusive culinary culture. 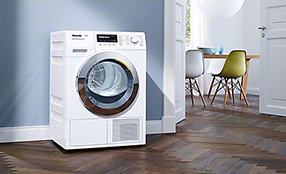 Miele focus is on manufacturing domestic appliances for the kitchen, the laundry room and for floor care, as well as machines for use in commercial operations and medical facilities (Miele Professional). The strategic vision is to become the most favoured brand of the industry in all relevant markets. 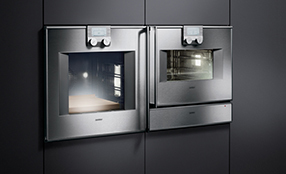 Miele offers products to its customers that set the standards for durability, performance, ease of use, energy efficiency, design and service, corresponding to its motto “Immer besser” (always better). Bora is a young company that, despite its youth, is already making history. 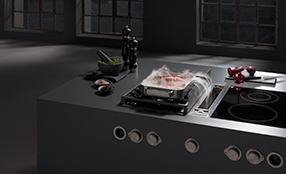 This rapid development began when Willi Bruckbauer developed and patented his first distinctive cooktop extractor system in 2006; the Bora Professional. In the following year, he founded Bora Lüftungstechnik GmbH, with one member of staff. With more than 20 years’ experience in the kitchen industry, the trained master carpenter knows what is important in a modern kitchen: creating a living space that meets people’s needs. Extractor hoods have no role here: they are loud and ineffective, and intrude into the field of vision. Furthermore, they limit design options when planning a new kitchen. 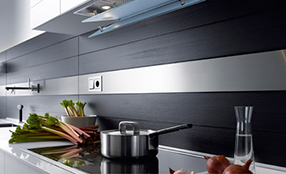 Exklusiv-Hauben Gutmann is a leading provider of high-quality exhaust hoods private households in Europe, and enjoys the trust of the best specialized kitchen dealers. 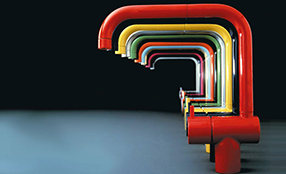 Gutmann hoods are unique -individually planned and specially manufactured for each customer. They are the result of progressive ideas, decisive service orientation and a distinguished sense of style and fulfill the many demands of modern life. 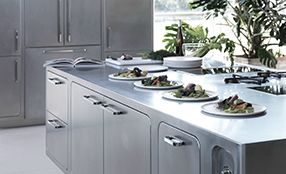 With clearly defined forms, high-quality materials and innovative technology, Gutmann offers unique solutions for the kitchen.